This page provides links to a variety of useful websites, including the original reports, GIS and other MALSF funded educational material. Click on the headings to get links for the following topics. This link provides the final report for the East Coast REC, located on the MALSF website. This link provides the final report for the South Coast REC, located on the MALSF website. This link provides the final report for the Outer Thames Estuary, located on the MALSF website. This link provides the final report for the Humber REC, located on the MALSF website. Web resources based at the National Museum of Wales. 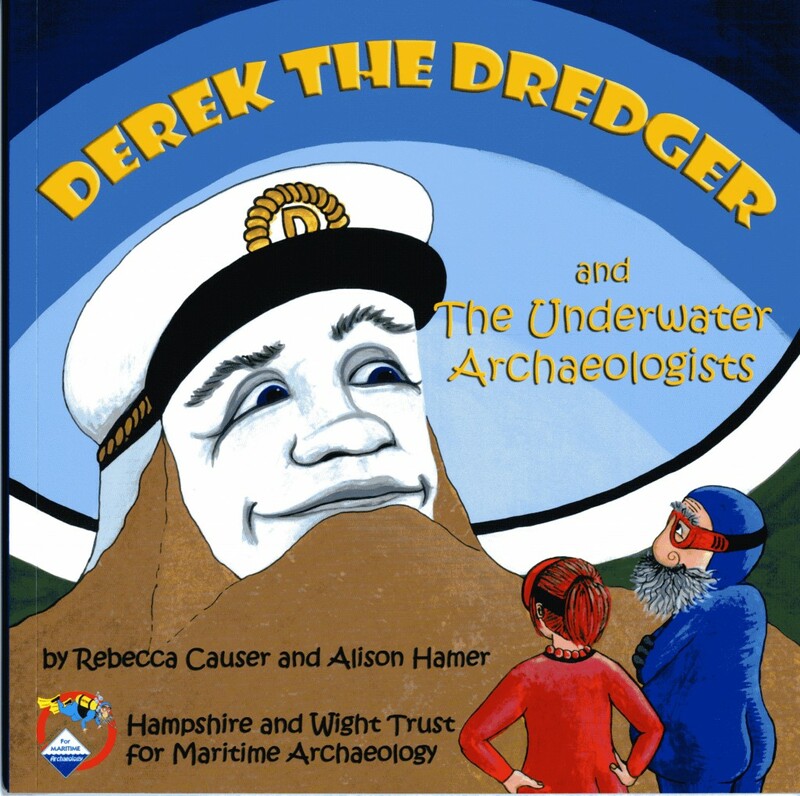 Scientists have been exploring the seabed of the Outer Bristol Channel – now it’s your turn…..
Derek the Dredger and all his friends are the heroes in two new books. On Derek’s website you can click on all of them to see what they are up to when they are not out diving. This resource was created by Hampshire and Wight Trust for Marine Archaeology. The project developed a range of activities and resources which provided information on maritime archaeology and marine aggregates to a very broad audience from young children to older age adults. Through a series of talks, teaching packs, activity books, interactive CDs, public and school workshops, school assemblies and promotional materials, important facts and issues were presented in an accessible and fun way. This resource was created by Hampshire and Wight Trust for Marine Archaeology. The ‘Mystery Wreck’ is a wooden shipwreck lying in a licensed dredging area in the Eastern Solent. The project work assessed all the results obtained to date from the site to develop an innovative educational resource for Key Stages 3 and 4. The story of the discovery, research and management of the Mystery Wreck will enable students to become familiar with the site, the archaeological process, marine biodiversity of shipwreck sites, how fieldwork, historic and scientific research can help answer questions and how different disciplines and industries work together in the marine environment. This resource was created by Hampshire and Wight Trust for Marine Archaeology. Main webpage for the Marine Aggregate Levy Sustainability Fund (MALSF). The main aim of the Marine ALSF programme is to promote environmentally friendly marine aggregate extraction in England or English waters. This site contains information about MALSF, the Regional Environmental Characterisation surveys and many other related projects. English Heritage champions our historic places and advises the Government and others to help today’s generation get the best of our heritage and ensure it is protected for future generations. Through its involvement in the MALSF fund, English Heritage has supported a range of timely initiatives, providing new insights into the mitigation, assessment, evaluation and potential of the marine historic environment through remote survey and field investigations in England’s territorial waters. This is the website for the British Marine Aggregate Producers Association. BMAPA is the representative trade body for the British marine aggregate industry. Here you can find information about the marine aggregate industry: where they work, what they do and what the issues are. The British Geological Survey (BGS) is the world’s oldest national geological survey and a centre for earth science information and expertise. BGS provide services in all areas of geoscience. The website has links to projects undertaken and popular geology resources. The Centre for Environment, Fisheries & Aquaculture Science (CEFAS) is an executive agency of the Department for Environment, Food and Rural Affairs (Defra). Cefas is the UK’s largest and most diverse applied marine science centre. Envision is an international environmental consultancy and research company, specialising in marine and coastal mapping, spatial data services and decision support mechanisms to support marine planning and coastal zone planning. EMU is a professional company which offers data collection, analysis, interpretation and consultancy service relating to marine development, research & planning. Their site provides information on the range of projects and services they undertake. The Gardline Group was established in 1969 to provide marine support to the offshore industry but has grown into a group of multi-disciplinary organisations with a range of activities. 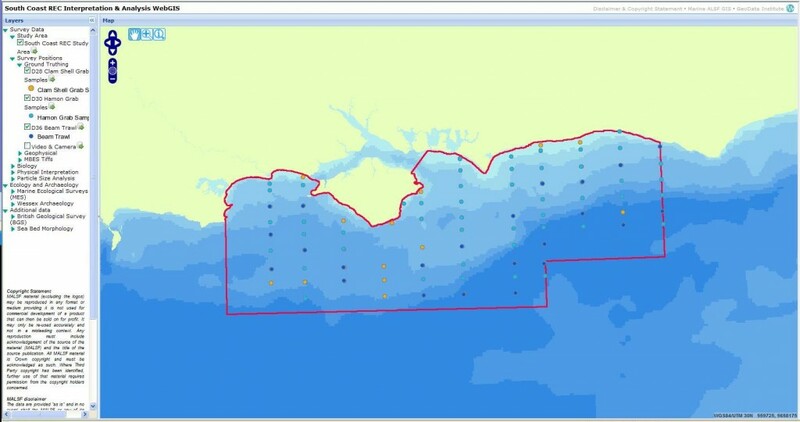 Visit to find out more about seabed and environmental surveys. Marine Ecological Surveys Ltd (MES) specialise in undertaking site appraisals, feasibility studies, Environmental Impact Assessments (EIAs) and Environmental Statements. 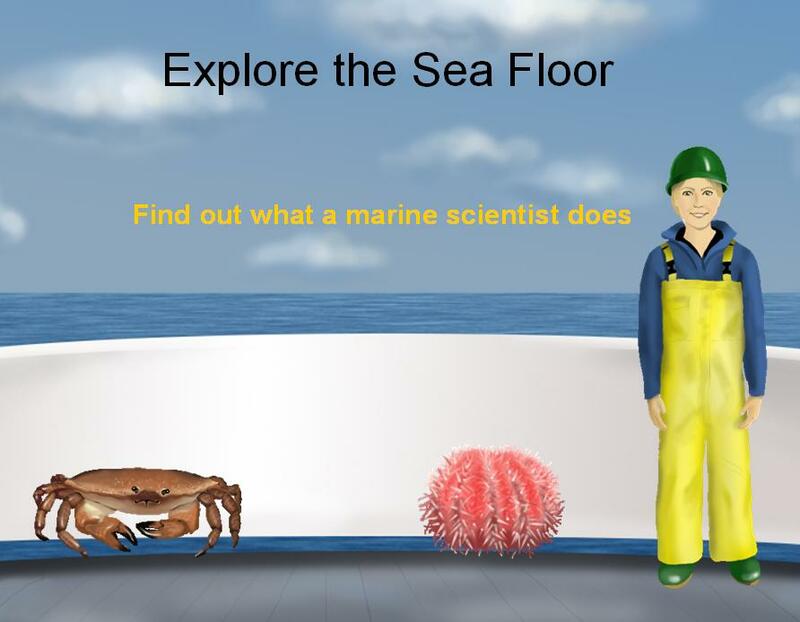 Visit the website to find information on publications, projects and careers in marine ecology. The Sussex SFDC is committed to managing and conserving the Sussex inshore fishery. By searching their website you can find a range of information about the inshore fishery industry and the regulations controlling it. This has now been replaced with Sussex Inshore Fisheries Conservation Authority http://www.sussex-ifca.gov.uk/. NOCS is the integrated collaboration between the Southampton-based part of the Natural Environment Research Council’s National Oceanography Centre, and the University of Southampton’s Ocean and Earth Science. The Centre hosts one of the world’s largest groups of scientists and engineers devoted to research, teaching and technology development in ocean and Earth science. The Visual and Spatial Technology Centre (VISTA), at the University of Birmingham (UK), supports academic research and application development for spatial analysis, visualisation and imaging using state-of-the-art technology in one of the best-equipped archaeological visualisation laboratories in Europe. Centre staff use the unparalleled opportunities of VISTA for research, postgraduate and professional training in archaeology, the Humanities and associated sciences. Wessex Archaeology’s Coastal and Marine Team is the leading provider of marine archaeological services in the UK, supporting offshore renewable energy; marine mineral extraction; ports and harbours; cables; pipelines; flood and coastal defence; strategic research; and marine heritage management. As a charitable trust their educational remit is to promote archaeology to a wide range of audiences. These links will be useful to teachers covering any of the topics explored in this website. A protocol for reporting any discoveries of archaeological artefacts on the seafloor during marine aggregate dredging activities. The finds are reported to archaeologists, who in turn report anything of significance to authorities such as English Heritage. The British Marine Association Producers Association’s (BMAPA) Marine Aggregate Protocol for the Reporting of Finds of Archaeological Interest started in 2005. This is the site for NOAA’s Office of Coast Survey. They are responsible for producing U.S. nautical charts and have some interesting information about seafloor survey. The Nautical Archaeology Society (NAS) is a non-government organisation formed to further interest in our underwater cultural heritage.The NAS is dedicated to advancing education in nautical archaeology at all levels; to improving techniques in excavating, conservation and reporting; and to encouraging the participation of members of the public at all stages. English Heritage is the national public archive: 10 million photos, plans, drawings, reports and publications on architecture, archaeology, listed buildings, aerial photographs and social history. Use this link to access the online National Monument Records service called Pastscape. Archaeologists explore NMR data for historical information on ship and aircraft wrecks. Learning and access webpages for Wessex Archaeology’s Coastal and Marine team. It offers a variety of resources including teacher packs and opportunities for hands-on marine archaeology workshops. The UKHO is a government Trading Fund and part of the UK Ministry of Defence. It produces a global range of electronic and paper nautical charts, publications and services for the Royal Navy and international mariner. Archaeologists use UKHO to map any physical obstructions found on the seafloor, this includes records of known locations of wrecks. Great site for more information on soundwaves and their use in seafloor mapping technology.